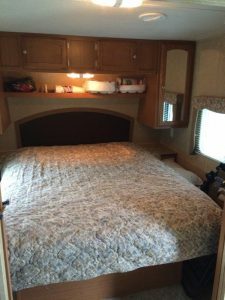 All campers are cleaned and ready for occupancy. You will need to bring your own bedding, cookware, and toiletries. Does it Have Bathroom / Shower Facilities? 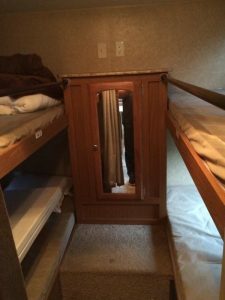 All of our rental trailers include bathroom / shower facilities. 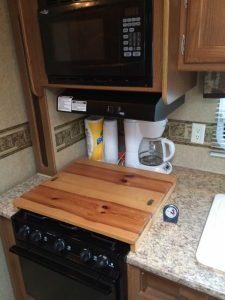 All of our rental trailers include a full kitchenette consisting of stovetop and oven as well as microwave and refrigerator / freezer. What About A/C and Heat? 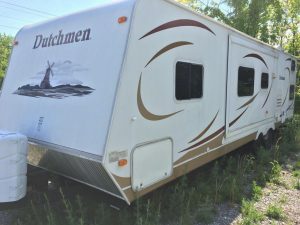 All of our rental trailers include air conditioning and heat. What is The Total Rental Cost? 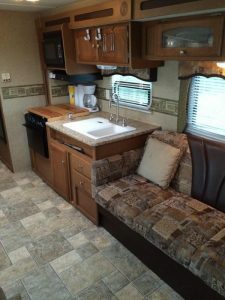 Camper #9 rents for $1,500 per week and this includes site setup, electrical, and water. There are no other hidden charges. $1,500 gets you everything for the week! 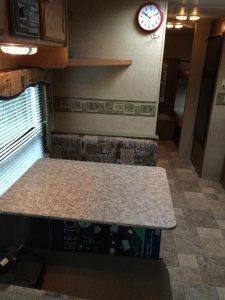 However, failing to properly clean the camper before leaving will result in a $100 cleaning fee.